All my life I have only liked my sweet potatoes one way, and that was my momma’s sweet potato soufflé that she fixed every year at Thanksgiving and Christmas. Whipped sweet potatoes mixed with Eagle brand milk, brown sugar topped with pecans, even more brown sugar and marshmallows….. In an effort to add more variety to our supper table, I decided to give this decidedly autumn vegetable a try as a wonderful accompaniment to some fish I was broiling one night last week. It took a few minutes to decide how to prepare them and opted for fries to make them more appealing to my kids while still keeping them fairly healthy. It’s super easy, the only challenge is peeling and slicing the potato as they are a bit more tough than regular potatoes. **Heat 2 Tablespoons if the olive oil over medium heat, saving the other tablespoon if it is needed later in cooking the fires. Add the sweet potatoes a few at a time to form a single layer for cooking. **Turn about a minute and half into cooking and continue to cook another minute or two (taste one to make sure it is cooked through). 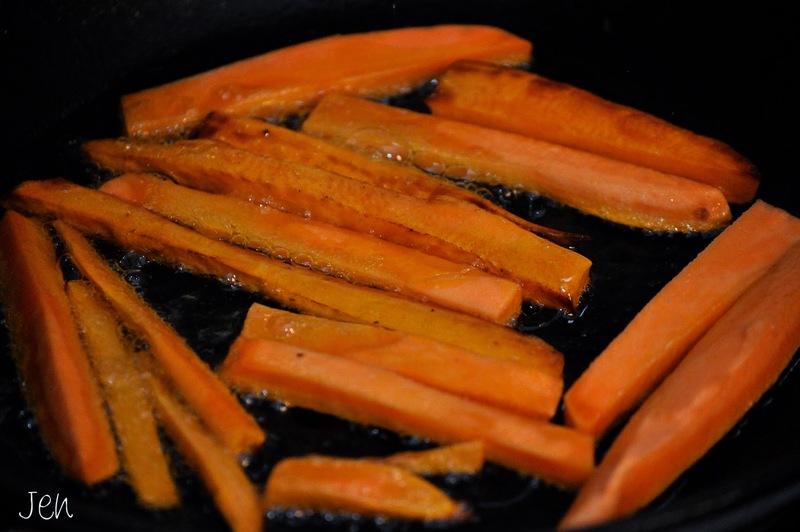 Sweet potatoes cook much differently than potatoes, so don’t expect them to crisp up the same. **Carefully remove the fries from the hot oil and drain well on a paper towel. **Sprinkle with a little Kosher salt and serve. Super easy and really quite tasty. Not only were these delicious with fish, they would be fabulous with hamburgers as well. Linking up with Foodie Friday this week. Have a wonderful weekend and try something new! Yummers! 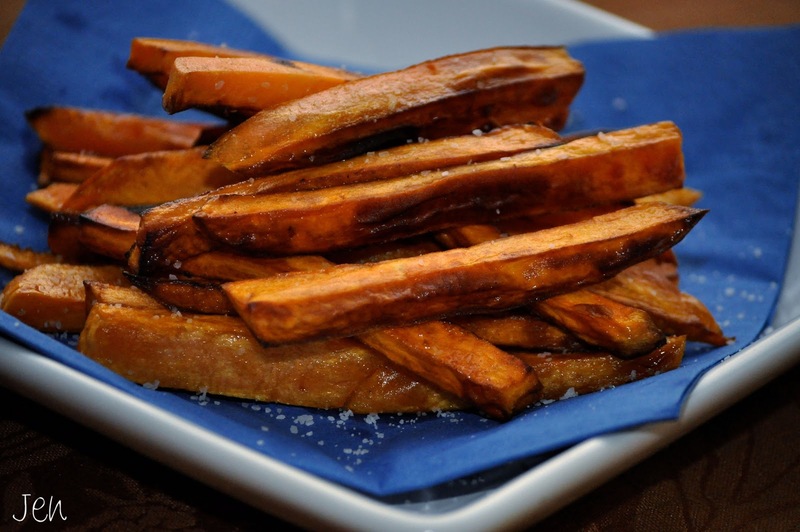 I bake sweet potato fries from time to time and we really love them. I've never had sweet potato souffle though – must be really tasty. This is a must try! They sound delicious! I'm new here and so happy to find your blog. Love your anonymous quote in the side bar and I'll be looking around now! These sound so good, I LOVE sweet potatoes!! 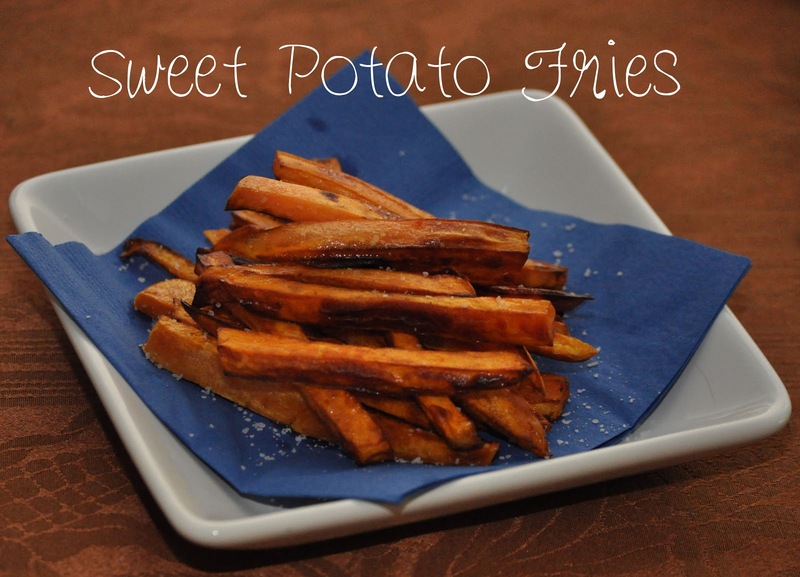 I love sweet potato fries and make them all the time. I soak mine in cold water for a few hours and change the water. Then I pat them really dry and coat them with a bit of olive oil and sea salt. We also have mix that we like that's made with brown sugar and cumin – can't think of it now. Then I bake them. Much healthier than frying.